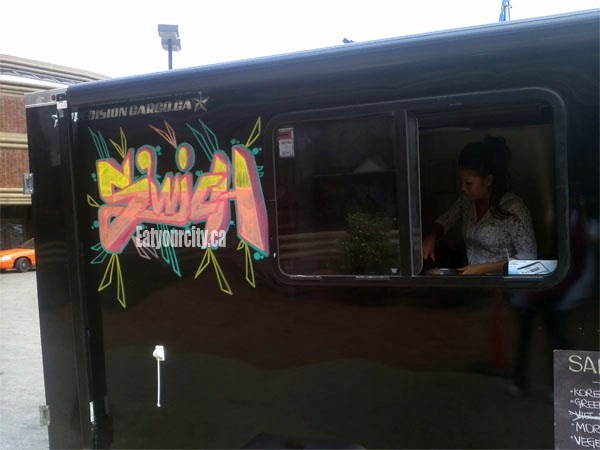 Eat Your City: S'wich Food Truck Edmonton, AB - tasty gourmet sandwiches made with fresh baked bread, smoked and cured meats from scratch! S'wich Food Truck Edmonton, AB - tasty gourmet sandwiches made with fresh baked bread, smoked and cured meats from scratch! Posted by Its getting coooold outside and I'm going to miss the food trucks. 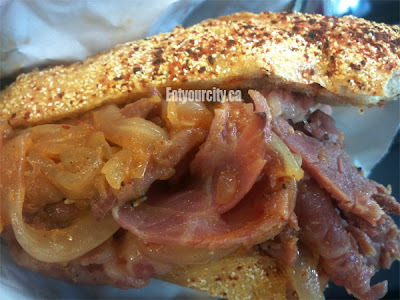 Especially this one cuz it tends to roam around and I can actually run to grab the occasional delish sandwich from them... I can't easily get to the downtown food trucks without the travel time eating up all my precious precious preciousssssssss (you get the picture) lunch hour. Oooh, and on top of baking all their excellent bread they use for their sandwiches from scratch, they're also crazy enough to smoke and cure all their meats, and make all their condiments and tasty things they pile on top of their sandwiches in house too! And if that doesn't sell you, they got big hearts and donate all their tips to KidSport, a charity that provides sports equipment and opportunities to have-not kids so they're active and never left on the sidelines. Anyhoos, onto the food! 1) Figure out where in the city they are today and you know, locate them lol! 3) See when they're open cuz the popular sandwiches literally get inhaled and they'll be sold out if you take your sweet time and saunter down. I've missed out a few times to try their pork terrine/mortadella sandwich made with locally raised Irvings pork, I think the green chicken curry sandwich has teleportation powers, but I've usually manage to make it in time for one of my favs (that I remember to take a picture of)... the smoked Korean meat sandwich. 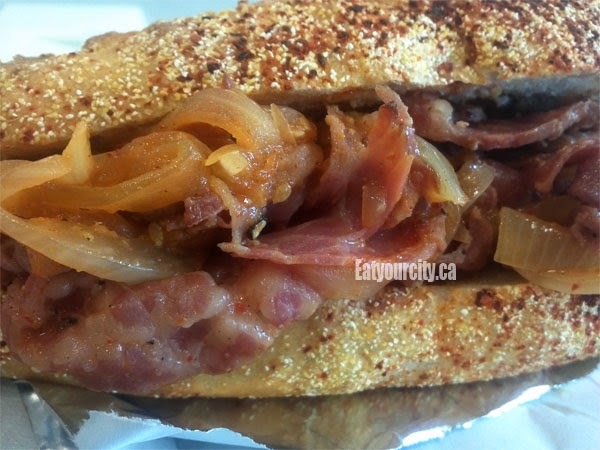 Crisp crusty bun with a tender interior is packed with generous portions of sliced beef (brisket?) cut to a thickness that you can still bite though and nearly melts in your mouth with just a hint of smokiness. Its drenched in a tasty sweet Korean inspired sauce and caramelized onions, and the hint of spiciness builds to a nice mild note as you continue noshing on the sandwich. I'm wishing for a quick cucumber or Vietnamese style slaw to give it a bright fresh note, but the sandwich is still yummy, and too soon I'm looking at an empty wrapper. 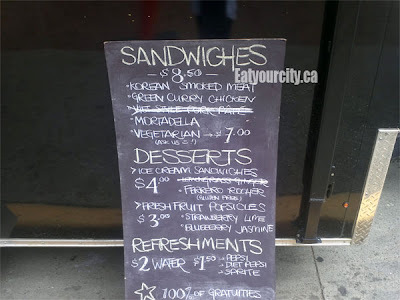 I'm looking forward to trying out their Montreal smoked beef sandwich the next time it pops up - its made with ultra marbled Wagyu beef that Brant Lake Wagyu in southern Alberta raises by crossing Kobe or Wagyu with female Angus stock... and currently the only food truck that has the bragging rights to serve this beef. Get them before food truck season is over... get 'em sandwiches on!